Your health is a precious gift to maintain and protect. Seeing your health care provider for routine recommended screening tests and immunizations keeps you healthy and provides the expert advice you need to make good health choices. All too often people ignore these important tests, only to find they have a medical condition that could have been prevented with good care. And don’t forget the simple things we can all do to stay healthy – good nutrition, regular exercise and physical activity, good sleep habits, and managing our stress levels. More and more the value of immunizations is being recognized – with new vaccines being approved, be sure to get updated. The overall contributions of the combination of these factors leads to healthy lifestyles and healthy bodies. 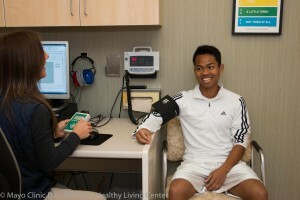 Preventive services are an important part of improving and maintaining your health care. Look at this as a great opportunity to put what you have access to into practice. Looking for a list of recommended services customized for your age and gender? Click here. Did you know that many insurance plans offer reduced or free coverage for some preventive services? Check with your insurance provider on specific coverage. Insurance for Mayo employees covers most of these fully. DAHLC Point-of-Care Screenings are also available to those eligible for membership. This finger prick test gives glucose and lipid panel within minutes. Schedule an appointment by stopping by or calling the front desk at 507-266-4688. Visit the DAHLC website for details.